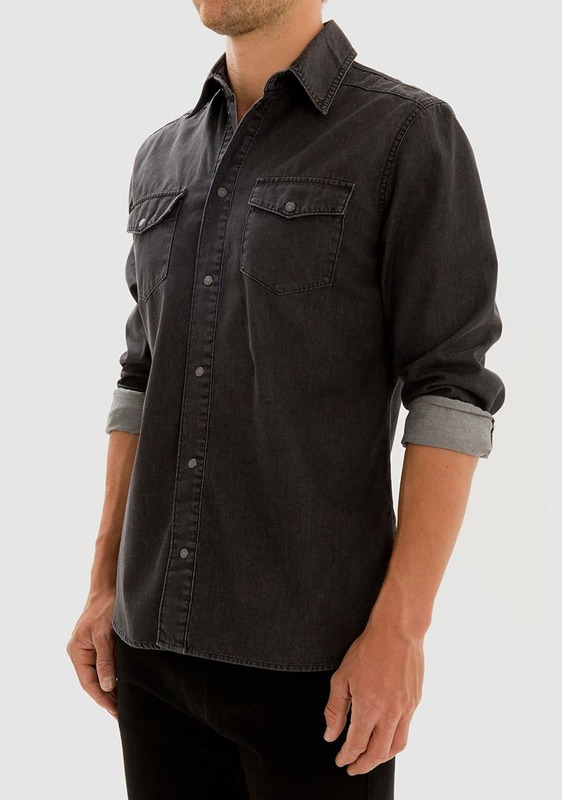 Denim button up shirt, with traditional black oxide snap buttons at front placket and sleeve cuff. Tonal self colour stitching with double breast pockets and flaps. Classic rinse wash with clean finishings.